A brief basic description of the EFT / Tapping procedure is given here in the interests of information sharing and education. It is not intended as therapy and any person applying EFT techniques to him/herself should take full responsibility for his/her personal wellbeing and use of the techniques described. Before using EFT for any medical condition you should seek the advice of your general medical practitioner. Individuals have been able to follow on-line instructions such as the following (or the more detailed AAMET Free EFT Manual or Gary Craig EFT Tutorial) and obtain relief from or lowered intensity of negative emotions or physical pain. However, if at first you don't succeed, please bear in mind that self application following such printed instruction is a poor substitute for a one-to-one session or a training session with an experienced EFT practitioner/trainer. This brief instruction may be of use as some kind of emotional first aid only. 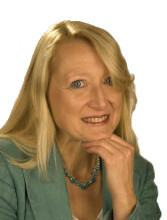 If you have complex or long-standing emotional challenges you are advised to seek the support of an EFT professional. You are advised to consult with your medical practitioner if considering discontinuing any prescribed medical treatment or if you have any concerns about trying EFT to help with a medical problem. EFT should not be used in place of conventional medical care. Always consult your GP for medical attention and advice. Clients have found EFT useful as a complement to any conventional medical treatment. 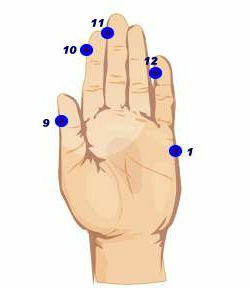 The Gamut Point is on the back of the hand, between and just behind the knuckles of the ring finger and little finger. The Finger Points are on the side of the thumb, index, middle and little fingers at the base of the nail (start from your wrist on the thumb side of your hand; go up the side of the thumb to the base of your nail, then use the same side for each of the other fingers). Become aware of the feeling (emotion) that is bothering you; describe it as precisely as you can (zero-in on the specifics of it). Note: it is very important to be specific, eg avoid "I feel anxious" instead use "I can feel the butterflies in my tummy because I have to give this talk"
Always begin by noting a SUDS on a scale of 0-10. "Even though I feel this (insert specific emotion or pain), I deeply and completely accept myself anyway." "Even though I feel ........ , I accept myself with this feeling." "Even though I feel ...... , I love and forgive myself anyway." "Even though I feel ....... , I choose to feel (insert positive opposite eg calm and confident). "Even thought I feel ...... , I'm OK.
5 Repeat step 3 (tap points 2-8 or 2-12 whilst repeating the reminder statement. 6 Check SUDS on a scale of 0-10. You have now completed one 'round' of EFT. Your score will probably have reduced, but don’t be alarmed if it has stayed the same or even increased. The aim is to reduce it to 0, or at the most 1 or 2 with successive rounds of EFT. Once familiar with the procedure, each round should take only a minute or so. Never give up until you have tried at least 5 rounds or have cleared to 0. "Even though I still feel this (insert emotion) ….., I ............... "
Repeat step 7 if necessary, as many times as necessary. If at any time you begin to feel overwhelmed by emotion, do not stop tapping. 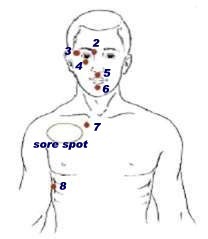 Keep tapping continuously round points 2-8 or 2-12 and do the eye movements from step 4 at the same time. Keep doing this until the feeling of being overwhelmed subsides. If your SUDS gets stuck and won’t reduce further, you may have switched to another emotion, for example sadness can often turn to anger (or vice versa!). You may need to pause and rethink and maybe alter the statement you’re using. Or there may be another aspect to the same issue. Reflect carefully and amend your statement as necessary to reflect precisely what you are feeling. If you are still stuck, this may be the point at which you need to start working with someone else, ideally with an experienced EFT practitioner. If your issue involves a number of inter-related aspects, you would be best advised to do EFT with a trained practitioner. EFT takes a few minutes to learn (hence is great as a self-help technique for emotional first-aid) but many hours of study and practice to master, with many possible refinements. Complete novices can pick up the basic procedure and work on themselves or their family applying EFT to both emotional and physical issues and regularly experience success rates as high as 50%. When doing EFT with a qualified and well-practised practitioner success rates typically range from 85% upwards. 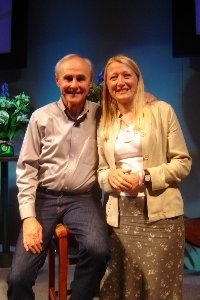 Do be aware that although EFT has won fame from people talking about its ‘one-minute wonders’, it is much more likely to work subtly over time, and persistence in such instances is vital. Welcome any sighs, yawns, burps or stomach gurgles you may notice at any time. These are all positive signs of your energy balancing itself. Many people find that there is one single point, which, as they tap, they can feel provides a noticeable lightening or release and reduction in emotional intensity. Once you have found this point, you can shorten the procedure for step 3 to tap only your special point. It is also possible to omit step 4. Important: Regular checking of SUDS is essential. This tells you whether the procedure is working. If you are using a short cut and the EFT is not working, you should revert to the full basic procedure.